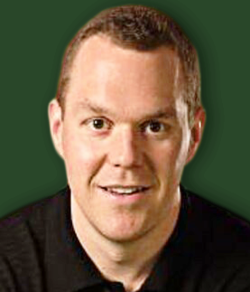 Steve Merril is on an AWESOME (312-270 ATS) All-Sports Run! All-Sports is up +307 games the past five years! Learn while you earn with detailed analysis every day! Steve Merril has isolated a SOLID side play for Thursday night in the NBA Playoffs - Nuggets/Spurs (TNT) - 8:05 pm ET - Don’t miss out. Guaranteed Side that will CASH IN BIG! Steve Merril's All-Sports package includes every Football + Baseball + Basketball selection every day (MLB, NFL, NCAAF, NBA, NCAABl) for one price! A 3-day sampler of Steve Merril's Best Bets in every sport for one low price with detailed reports and analysis! Steve Merril's All-Sports package includes every Football + Baseball + Basketball selection every day (MLB, NFL, NCAAF, NBA, NCAABl) for one price! A full week (7 days) of Steve Merril's Best Bets in every sport for one low price with detailed reports and analysis! Steve Merril's All-Sports package includes every Football + Baseball + Basketball selection every day (MLB, NFL, NCAAF, NBA, NCAABl) for one price! A full month (30 days) of Steve Merril's Best Bets in every sport for one low price with detailed reports and analysis! 365 day **ALL SPORTS** Special! Every sport, every day, for an entire 365 days! This is the most powerful and profitable package available as you get every one of Steve Merril's Pro Football (NFL), College Football (NCAA), Pro Basketball (NBA), College Basketball (NCAA) and Major League Baseball (MLB) selections released for the next 365 days in a row... backed by full detailed reports and analysis! Every NBA + NCAA Basketball Best Bet thru June 2019 for one price! This includes the NCAA regular season, tournaments and national championship... plus the NBA regular season, playoffs and finals! Learn while you earn as every Best Bet is backed by full detailed analysis! Steve Merril's complete NBA sesaon includes every regular season game + NBA Playoffs thru the Finals in June 2019. Every NBA Side + Total is backed by full detailed analysis. Learn while you earn this NBA season! Every MLB play released by Steve Merril for the complete season thru the World Series in November 2019! Learn while you earn with detailed analysis with every winning play, every day! 9* Play RED SOX (-1.5 runline). Steve Merril uses a combination of methods to get the most out of his picks. He has spent over 20 years refining his technique and studying the books so he can beat them on a consistent basis. And he has done that on more than just sports. He has actually studied odds in poker, casino games, and the stock market. If there’s an element of chance in a game that can make money, Steve has studied it and perfected it. He understands every aspect of the gaming industry, not just capping. Steve is also a handicapper who backs every pick with a full detailed report and analysis. It’s important to him that his subscribers understand why his picks fall where they do. Of course, some bettors may not care about rationale, if they have a solid track record. And Steve most definitely has a solid track record. He has a dozen top five finishes since 2008, and 19 finishes in the top 10. That’s including #1 finishes in MLB and all sports in 2009. But he’s effective in every sport you’d want to put money on. NBA and college basketball are particularly strong for him, as six of his top 10 finishes are in those two. Even now, Steve’s all sports streak stands at almost $5,000 in profit on a 56% win rate. His MLB and football streaks are standing at a stellar 63% and 64% win rate. There are few weak points in his capping ability. And that means there are few aspects where he won’t make you a healthy profit on your investment.